In what might be a sign of a burgeoning labor movement in digital media, the editorial staff at the progressive website Salon voted unanimously to organize a union. The announcement on Thursday comes a month after Gawker Media voted overwhelmingly to unionize, which was a first for staffers at a major digital outlet. Like Gawker, Salon unionized with the assistance of Writers Guild of America, East. It is still unclear if the union will be recognized by the company. "We would hope that a company like Salon, which covers progressive values and progressive issues, would be receptive to the notion of collective bargaining and free association," Justin Molito, director of organizing at WGA, East, told CNNMoney. Salon CEO Cindy Jeffers told CNNMoney that the company looks forward "to discussing this initiative with the editorial staff and learning more about their objectives and goals." "Salon has, from its very inception, proudly embraced progressive values and a commitment to our workers and to labor," she said. Molito said he believes the moves signal the dawn of a movement in the digital workplace, which has remained largely devoid of unions. "I think that digital journalism has taken time to mature as an industry, and now that the industry is more established, it is a natural progression for employees in the industry to want to build sustainable careers through organizing together and forming a union," Molito said. Molito acknowledged that the WGA has been in contact with "folks at lots of different places within the industry," though he declined to name the outlets. 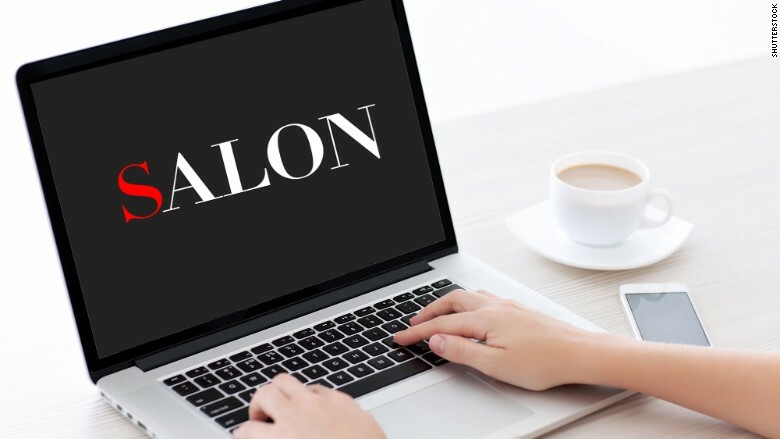 Staff members at Salon, a liberal site that has written critically about anti-union practices, expressed a hope that other digital media outlets will follow their lead. "In the wake of the Gawker staff's vote to organize with the WGAE, we see an opportunity to help establish standards and practices in Internet journalism," the site's editorial staff wrote in a letter explaining their efforts. "It's an exciting moment for our field, and we want Salon to be at the forefront of change." According to the staffers, "[e]very single one of the editorial employees at Salon" supports unionizing with the WGA, East. The signers of the letter include the site's best-known writer, editor-at-large Joan Walsh, who also serves as an MSNBC political analyst. Salon was founded in San Francisco in 1995, making it something of a digital media pioneer. The site has showcased the work of prominent liberal writers such as Glenn Greenwald.